Russia. Nizhny Tagil. 29 September 2015. 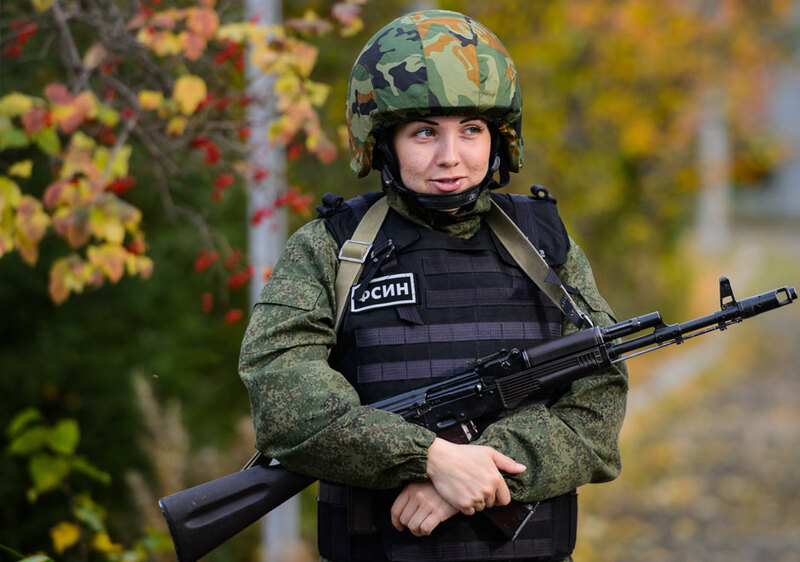 Fighter rapid response team (riot FSIN), consisting of 17 employees of the Nizhny Tagil women's prison number 6, during the session on the liberation of the hostages and capture offenders regime. Female special forces designed to prevent violations in prison. Miembro de las Fuerzas de Respuesta rápida de la prisión femenina número 6 de Nizhni Taguil durante un ejercicio de liberación de rehenes.